My favorite perfume of Guerlain's line L’Art et la Matière must be Tonka Impériale. It is no secret that I like gourmand scents, is it because I am a foody? That, we will never know. There is something very uplifting about the way Tonka Beans meet the deliciously sweet Almond and are balanced by the sophisticated wood notes, amber and tobacco. That is why when I heard about a nail polish and a lipstick with the same name, I knew I had to get them. That color.... Is it the color of Tonka Beans or Tonka Beans mixed with Almond (yummy)? 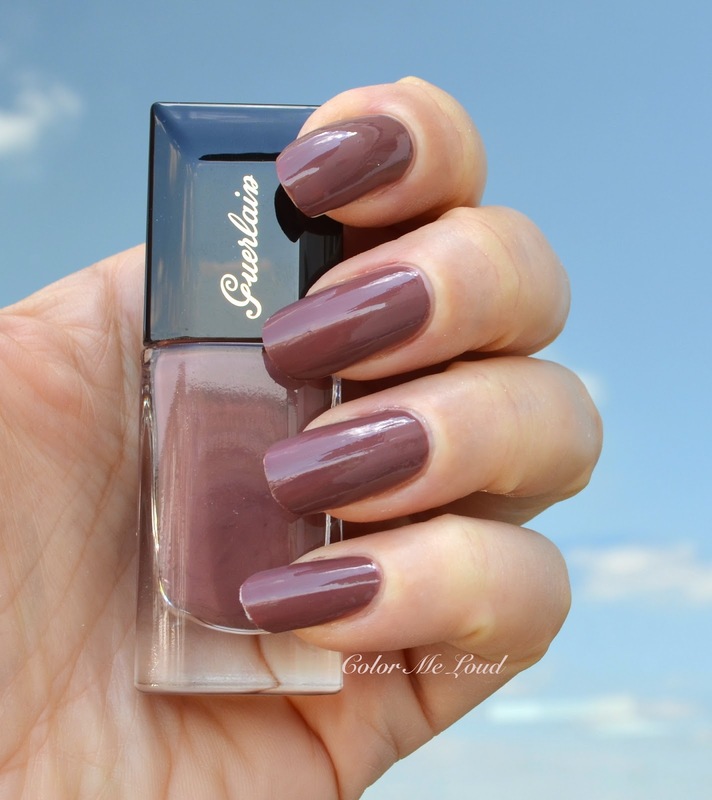 Nail Lacquer in Tonka Beans is a bronzy plummy brown cream with a hint of silver shimmer. That plummy tone might be my undertones making everything plummy though, so don't call me on that. Under direct sun the faint silver shimmer can be slightly seen on the nails, but on the bottle it is more apparent. I liked the formula of #602 Tonka Impériale, the consistency was good, it was opaque in two coats. 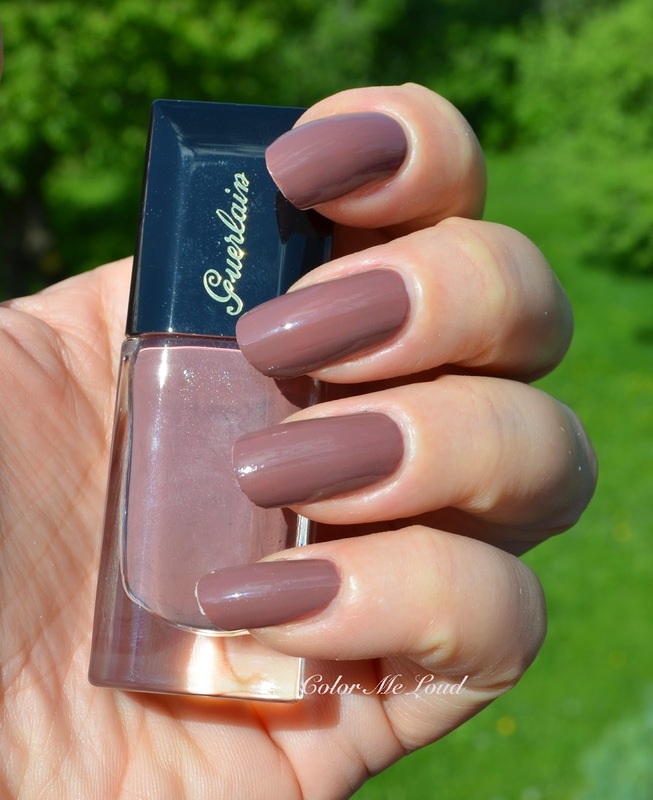 If you like warm mid-toned taupes on your fingers, you may want to check out this one. To me it was exactly at the limit of being too brown but my complexion save it and brought some plum in this equation, which makes it more wearable for me. As for the lipstick, Rouge Automatique #602 Tonka Impériale, I was expecting to love it a bit more than I do. I do like the tone of this one but it is a bit too frosty for my taste. I know though this summer has frosty metallic lippies written all over, so I don't complain to be able to catch the trend here. I guess, I just have to get used to it. 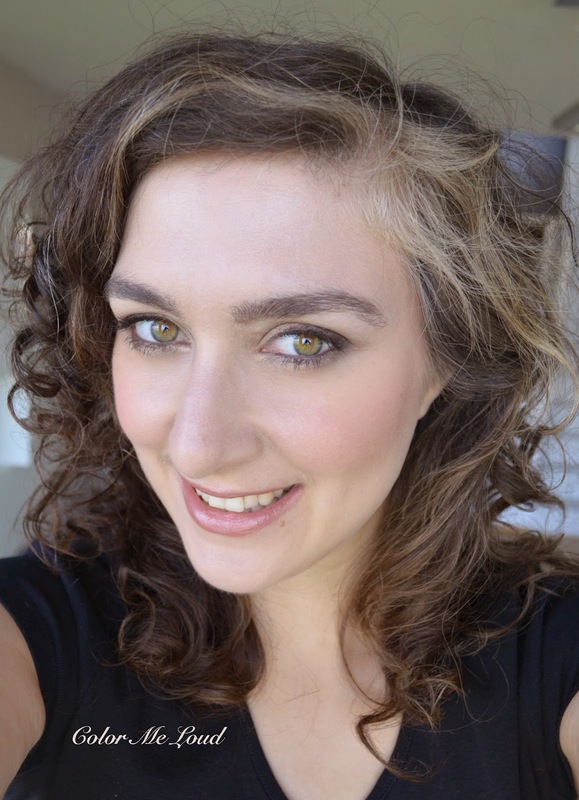 Below I am wearing Rouge Automatique #602 Tonka Impériale on lips with a minimal makeup elsewhere. Final thoughts: The shade of tonka beans converted to a nail polish and lipstick? Only a major perfume house would do it. Both products have lovely texture. I have to say though I can see myself loving these more with my pale skin since I find the brown shades muddy on my tanned self. But maybe that is just me? They are both limited editions and right now available on Guerlain Counters. Have you checked out any of these? 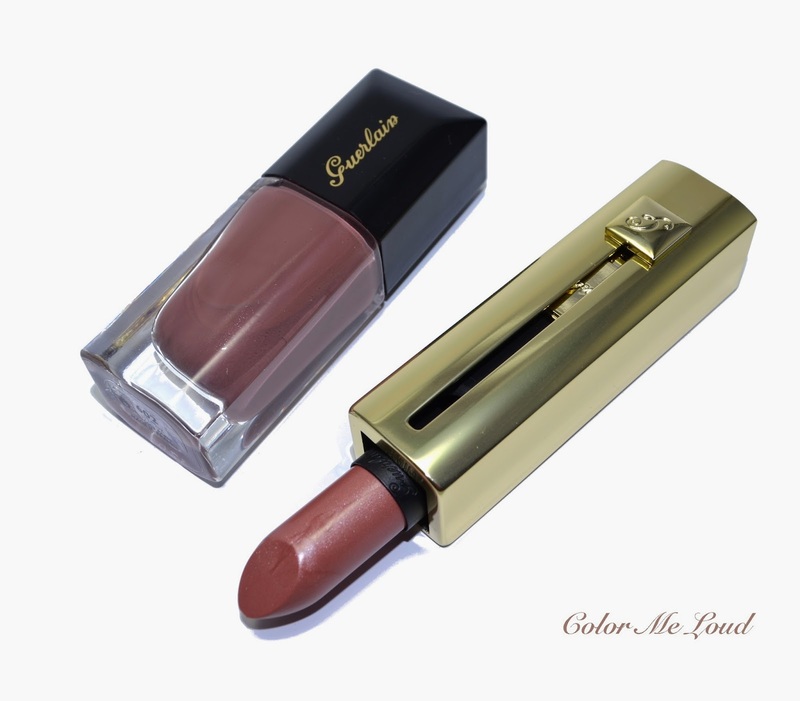 Wow I love taupe shades, and the rouge automatiques looks very nice on you. It looks simple and sweet! Thank you, yes it is for lazy days, just to add a little bit of something. Also when I get tanned, I don't need much of makeup (it doesn't show up anyways lol) so I can imagine sweeping this lippie and go out. I think you might enjoy this natural shade on your fingertips too. It would look even better with warmer skin tones. I saw this lipstick on the best things in beauty and bought it online... I do really like it. Not the normal pink or mauve for me. I think it looks great on you! Such perfect nails! I love this colour!